Henry Denison Babcock Jr. had the world by the tail. His grandfather, Samuel D. Babcock, was a wealthy businessman with a home on Fifth Avenue, a “country seat” at Riverdale-on-Hudson, and memberships in the Metropolitan, Union and Manhattan clubs, the New York Yacht Club, and the Country Club of Westchester County. 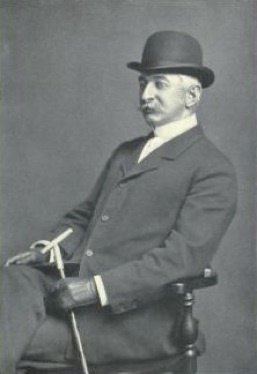 Henry’s father, Henry Babcock Sr., was also a clubman, belonging to the Metropolitan, Union League, University, Riding, Rockaway Hunt, Larchmont Yacht and New York Yacht clubs; he worked with Samuel Babcock at Hollister & Babcock, the family brokerage firm. The young Henry thus had many opportunities, but it was at the Rockaway Hunting Club in Cedarhurst, L.I., where ocean breezes riffled the grasses of the polo field, that he found his niche. The captain of Rockaway’s polo team was William A. Hazard, who was also Secretary of the Polo Association. As a way of encouraging young men to play polo, Hazard put up trophy cups for the younger players, and was able to field as many as five teams of three players each for junior tournaments. Tall and athletic, Henry Babcock Jr. played in Rockaway’s Junior Polo Club for four years. By the summer of 1903, he was playing with the adult players on the club’s second team in matches against teams like Westchester. That fall, he went to Yale and joined the polo team. At least two of his Rockaway teammates – S. Oakley Vander Pool and Laurence B. Rand – were players on the Yale team, and may well have influenced him to join them in New Haven. As a freshman, Babcock played polo in the fall, and then again in the spring of 1904. On a Saturday afternoon in May, Yale met Princeton at Van Cortlandt Park. It was a spirited match. As Babcock thundered towards the Princeton goal, closely marked by Princeton’s W.G. Devereaux, both men swung for the ball at the same moment and Babcock was seen to reel slightly. He had been grazed on the temple by Devereaux’s mallet. The Princeton man was unaware of what had happened, but Babcock began to lose strength in one hand and arm, and guided his pony toward the sidelines before sliding off. The captain of the Yale team rode to his side to ask what had happened, and Babcock said, “I have been caught, caught in the head. It’s nothing, though.” Babcock wanted to continue, but his captain sent in another player to replace him. On the sidelines, his friends gave him whiskey and oatmeal water, and rubbed his head. He laughed at the idea that he might need a doctor. After the match, he was taken to his home in New York where his mother prevailed and a doctor was summoned. Henry Babcock wanted his dinner, but the doctor advised him to stick to milk and go to bed. He retired at 11 o’clock. At about 2 a.m., his brother was awakened by the sound of Henry’s labored breathing. More doctors were summoned; they found that Henry Babcock had sunk into a coma. He died at 4 a.m.
Students at Yale’s Sunday morning service were told of Babcock’s death by the president of the University. The polo players of Yale and Princeton, Devereaux especially, were devastated. Yale’s scheduled polo games were cancelled, and games involving Squadron A and the Meadow Brook polo club were postponed as well. Van Cortlandt Park’s polo field was closed until after the funeral, which was held at St. Thomas’s Episcopal Church. Mourners came from Yale, Princeton, Rockaway, Squadron A and the Polo Association.